As the thread title implies, this game is loosely based on Ivalice-centric Final Fantasy titles. Aside from the occasional bits and pieces I might throw in that aren't canon to the source material, try to remember this theme when doing stuff. For character creation stuff, consult the next post. For now, this opening post will house character sheets for any players who sign up. I am looking for no more than six players to begin the game; after all, that's the max number of units one can dispatch in a FFT game, right? If able, I'd like at least two or three players to start things off, and I might throw an NPC in there if we're short-staffed. The NPC won't count against the first-come, first-serve basis of choosing jobs. Players pick a race and a job. As B-list members of the adventuring Clan Polaris, your character is reflected as a race of Ivalice and a particular combative job. Only the latter really matters for statistical crap, though. Races include Hume, Bangaa, Moogle, Viera, Nu Mou, and Seeq. Exclusive to this particular region is the (non-canon) Brigali: a race of lion-folk that love to fight and love to eat, who are semi-nocturnal and who have difficulty hiding their emotions. Alternatively, any of the other Ivalician races are allowed, but those seven are the most common. Fighter: "Rampage" -- Attack twice in a round; both attempts are rolled separately! Samurai: "Iaijutsu" -- Hit a foe without the die roll impacting your attack, but might break your current weapon based on what I roll. Knight: "Break" -- Beats an opponent down so hard, it skips their next turn; may or may not deal damage too, based on the roll. Ninja:"Throw" -- Somehow, you're able to chuck an item from your inventory like nothing else. Deals nasty damage if you hit, and I might add additional effects based on what's hurled... but the item is broken or otherwise lost after being thrown, so choose wisely! Monk: "Counter" -- For one round, any and all attacks against you will let you attack back, if you survive the hit. Also makes you more likely to get hit, as you're looking for trouble. Can still attack on the round you activate this ability. Paladin:"Cover" -- When activated, select up to two allies; you will take the hits for them if they're targeted this round. Dark Knight: "Drain" -- If your attack lands when used, you'll regain 1 HP from the enemy; while you won't *lose* HP from using this on undead, you also won't gain it either. Black Mage: "Blast" -- Blow an enemy away with elemental damage. Pick either Fire, Ice or Thunder each time you use this ability; on bosses, if you guess right, you'll deal even more damage! Tends to auto-kill mooks, so element is flavor in those cases. White Mage: "Heal" -- Restore yourself or a pal to full HP. So, like, three or four at best? Can also be used to Blast undead foes. Red Mage:"Sorcery" -- You can either Blast or Heal, as a BM or WM! But the versatility has a cost... your elemental attack can't deal bonus damage to bosses, and/or you can only restore 2 HP per use. Green Mage: "Support" -- Pick either to buff an ally or oneself, or debuff an enemy; select two targets to affect per use (can do two buffs, two debuffs, or a buff and debuff). If buffing, the pal gets a +1 to their die roll this turn. If debuffing, an enemy gets a -1 to their die roll instead. Each Clan member has a starting allowance of 80 Gil 100 Gil to buy their adventuring gear. Get creative with your item usage, folks! Also, keep in mind that items and abilities that boost your roll can't turn a roll from a 5 to a 6. Only a "natural" 6, before any modifiers are applied, will result in the win-lose result it normally bestows. Melee Weapon: 20 Gil. Various swords (including katanas and rapiers), maces, knives, claws, rods; flavor yours as you choose. Adds a +1 to your attack rolls. Heavy Weapon: 30 Gil. Axes, mallets, flails, great-swords. Deals extra damage against hardier enemies such as bosses; also busts through light armor, denying its wearer its usual benefits per attack made. Reach Weapon: 20 Gil. Staves, spears, poles. Allows you to attack from a farther distance away than normal, which can come in handy. Ranged Weapon: 30 Gil. Bows, crossbows, hand-bombs and even magitech firearms. Allows you to attack from a safe distance away from melee opponents. Light Armor: 30 Gil. Mostly leathers and armored vests. Enemies attacking you take a -1 to their rolls with non-magic, non-heavy assaults. Heavy Armor: 60 Gil. Various breastplates and suits of metallic armor. All attacks against you take a -1 to hit. Potion: 15 Gil. Recovers 1 HP to the drinker. Hi-Potion: 35 Gil. Recovers 2 HP to the drinker. Ether: 25 Gil. Enables the drinker to use their ability once more this quest, if they've already used it. Knot of Rust: 15 Gil. Chuck it to deal a free point of damage, maybe. Whee. Remedy: 10 Gil. Remove negative conditions from yourself (if you can act), or an ally. Phoenix Down: 25 Gil. Revives a KO'd ally during a fight scene, restoring 2 of their HP. Smoke Bomb: 10 Gil. Throw it and create a smoke cloud that renders all within, enemy or ally (that includes you too), with a -1 to their attack rolls. Torch: 1 Gil. Light it up and see in dark places for a while. Lamp Oil: 5 Gil. Use in a lamp, or to firebomb stuff. Lantern: 10 Gil. Comes with a hood to cover it if you need to be sneaky. Dried Food: 5 Gil. Tough to chew, but keeps for a long while. Canteen: 5 Gil. Useful for long treks through the deserts and badlands. 50' of Rope: 10 Gil. Don't smoke it. Chocobo Rental: 40 Gil. Return in good condition, please. Also comes with some free Gyshal Greens... for the bird, gaddammit. Rabanastre Fried Chocobo: 10 Gil. They do horse-bird right. Any Other Stuff: Ask me, and I'll give a price if I feel it'll suffice. Sure, I'll play. I know basically nothing about Final Fantasy or its lore, so this will be fine, I'm certain. I like those! Count me in! The Old Cypress, a pub somewhere at the outskirts of the good part of the countryside city and near the edge of the slums. The weekly performances were trashy, the drinks were bog standard and the food wasn't half bad for the price. This spacious pub was the veritable haunt of the up-and-coming Clan Polaris... at least, a chunk of it, anyway. Because of Polaris' recent spike in popularity, much of those willing to join were put on a trial period before joining the ranks officially. Though no one would explicitly say so, those who were dispatched to seek quests at less-upscale places in the Clan's travels were oft considered B-list adventurers by the more competent (some would say cocky) members of the Clan. Not to say you and your fellows had to always scrape the bottom of the barrel for work. Still, your superiors oft had the best gear and the most experience in battle because they either had seniority or have proven themselves on multiple occasions to be the best Clan Polaris can offer. It was just before suppertime, and the evening crowd was beginning to mill their way through the Old Cypress' doors. With the dinner rush often came a refreshment of quests and other ways of finding work among adjudged Clans, and even lone wolves that often didn't make it that long without the protection afforded by a Clan membership. Even if you had to obey some nonsense law of the week under Judge Trudith, you can't help but feel the plate-clad sentinel over is also in the same boat as your fellows. After all, how hard was it to obey restrictions in your engagements such as "Casual Friday: all armor must be decorated and/or personalized" or "Language: no swearing allowed (even if that sword blow *really* hurt)"? Your main benefactor in Polaris was present as always, an occasional member of the top brass in the Clan hierarchy. Her kind isn't common in Jylland, but the leonine lass named Janna was a decent enough White Monk and showed more compassion for her lesser-ranked teammates than most did. After all, the Brigali lass takes the time to find job leads, and even has adventures with you folks from time to time. Tonight was one of those times. Alongside Janna were some prospective new units also experiencing the hazing from the rising stars of the adventuring business. Among them, a spineless Hume Ninja named Lenzo and a disgraced but righteous Bangaa Knight named Ser Arte had shown up so far. It's been about an hour since you've arrived, and waiting around without activity is surely boring. What do? Instructions - Roleplay Scenario: Unless asked otherwise, players are free to interact with the setting and NPCs in any way that makes sense, even pulling in new NPCs to mingle with if it'd make sense. If performing a specific action with a relevant chance of failure, please mention these actions in bold text and I'll roll on my turn to reply. Who knows, interacting with the environment might net you something cool! As the party entered the establishment, and even now, doing whatever it is they're doing, a small, robed figure keeps to the back, slinking silently, looking curiously between shoulders of her team mates and other patrons of the put, but never quite trying to work her way to the front. Smelling the food, she reaches into her pockets to find gil, and finding 5 pieces. She wasn't too hungry right now, but the smell of food was very inviting. Quietly, she indicates from the waitress or waiter that she wants an apple, paying a gil and receiving an apple in return. Munching on her apple, she stayed behind her comrades, keeping quiet, unseen, curious. The only sound that ever came out of her was an occasional, "Oh!" and in the event she accidentally bumped into someone, "Sorry!" Other than that, she was as quiet as a mouse-erm-I mean-a cat. Sounds good to me. Ah, before I forget; NeverSilent and Avee, if you want anything extra, you two will start out with a bonus of +20 Gil. I wound up thinking that 80 was a bit tight of a starting budget. If you're good with your gear, I'll just add the bonus Gil to your inventories. Up front and scouring the job board, Janna hummed to herself while scanning behind the bar. Her rumbling was inaudible under the white noise of course, but she continued as she looked things over nevertheless. Most of the good jobs, as usual, were already taken. Still, the night was young and the pub crawl to the Old Cypress often rewarded work with enough patience. Despite her tail, Niviea often passed well for being a Hume thanks to her traditional White Mage robes. Despite this, Miqo'te were an even less-common type of folk in Jylland than even the dragon-winged Gria and the foreign Brigali. Most folk haven't bothered the cat-girl, but it's not to say some hadn't decided to harass her now and again. Still, people in the metropolitan Camoa usually haven't been an issue. Cutting through the chatter of the public house, a squeaking voice catches up to her from about knee-height. "Kupo!" A Moogle clad in purple raiment and wearing a pot helmet made in his size managed to slip through the crowd and stumbles toward you, a short sword at his hip. "Hey you! You're that Viera from the other day, kupo? Had a real fun time with you, kupo-po!" The sluggish, clumsy gait of the Mog Knight's over-sized boots hints that he might be under the influence. "Hey, Cesar!" The Mog Knight waves over another Moogle, this one dressed in green-and-black motley. "Check it out, kupo! I found her, that Lynn gal from the night before!" His friend shakes his fuzzy little head, pom-pom swaying back and forth. "No way, friend", Cesar spoke. "That's... uh, I don't know *who* she is, but that's not a Viera, kupo. Tail's wayyyy too long". "Awww, nonsense, kupo-po!" Chuckled the Mog Knight, motioning to pat you on the hip. "Lynnie, you've got the best singing voice in this whole dive, kupo! Way better than the half-assed bards they hired last week! Hah!" I look up at the actual Viera standing right next to me, almost twice my height, and then back down at the moogle, who's likely only half my height. Atiya: In that case I'll buy a Rope and keep the remaining 10 Gil. Niviea's taller comrade, Vivian, had been absorbed into a little habit of hers. She had taken her favorite accessory out of her hair, a large clover of the deepest green, in order to clean it gently with wet fingers. She would inspect every leaf carefully as she muttered unintelligible words. Vivian's comrades had become used to her being an oddball, at times absorbed in her little world. It wasn't uncommon for strangers to laugh at the sight of her peculiar habits. "What? You want to dance?" I turn to glance at Vivian. "Oh! I...umm...these Moogles think I'm a singer. I'm-I'm not; I dance." Then I think about what Vivian said and I look around uncertainly. "Should I dance?" Atiya: I'll use my 20 extra Gil to buy a lengths of rope, a canteen, and - if possible - a broken flute that makes a really unpleasant shrill sound if played. Shuffling to the front past my two comrades, I address the two Moogle, allowing the people in the pub to see the odd sight that is me: An even smaller than average Moogle, clad almost entirely in heavy plate armour, with a big smile on his face. "Morning, Cesar, Kupo! You look great today! And who's your friend here? I don't think we've met before, Kupo. I love what you've done with your hair, Kupo!" I begin babbling at the two Moogle with my squeaky voice, trying to distract them from harrassing my friends (and knowing full well that the Mog Knight is wearing a helmet, so I can't even see his hair). 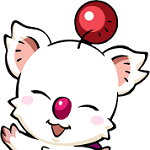 Then, addressing Vivian and Niviea, I wave my hands excitedly and say: "Yeah, you should absolutely dance, Kupo! The people here will love it!" After all, not only is watching these two friends dance always fun, it might also be a great way to make sure I can go take a peek at the job board and pick something good while everybody else is paying attention to the dancers. "Oh! Okay!" Dancing is a very personal thing for miqo'te, but a nice moogle dance couldn't possibly hurt anything! "Wow!" chuckled the Mog Knight. "Those are some good moves, kupo! I think I'll join in, if you don't mind?" With that, the fluffy l'il thing begins to imitate some of Niviea's motions, though he has some trouble balancing due to his too-big boots and inebriated state here and there. Cesar chuckles at the scene, turning toward Vivian, "Uh, yeah. Sorry about my pal, kupo. Thom is usually harmless". Lastly, as Anno begins to shuffle toward the job board, Janna spots the heavily-armored Moogle and motions him over. "Hey, Anno", she rumbles softly, "Think I've found a couple leads, but wanna ask which one we should take on first? Both are the typical battles: one is a bounty on someone, the other a monster hunt". Seeing the mog knight dance with her makes Niviea really happy, and she changes her rhythm to match his pace. Slightly distracted by the dancing people myself, I almost bump into Janna as I make my way to the job board. "Oops, sorry, Kupo. Oh, hiya Janna! Almost didn't see you there. On top of things as always, right, Kupo? The bounty hunt sounds good to me, but let's go ask the others. After they're finished showing off their amazing moves, of course." "Am I hearing things again?" Vivian wondered. "Ahem! Down here..." Cesar said, about to apologize for distracting the tall Viera. "Oh sorry! Yes, thyme is generally harmless unless ingested in excessive amounts. Ah but laurels, now that's one super herb that has many benefits! For instance..."
Somehow, both you and Janna are able to swerve around the sparse groups that are forming with the coming dinner rush. Not that it seemed overly difficult, anyway. However, just as Janna goes to open her dark lips, one of the patrons comes walking toward her and Anno. A Seeq, and a female one at that. "Oh, at last", the porcine lady speaks up in a gruff but doting voice as she approaches the Moogle and Brigali. "I think I've seen you about. One of you are members of a Clan, right?" "Em, yes", Janna replies. "Both of us are. I'm Janna, and this is my associate Anno". "Oh, good", the femme Seeq says, "I was hoping I could chat with someone about a job I put up tonight. A bounty. If you and your fellows would like, you can come to my table and I can offer more info. Uhhh... assuming you're looking for work?" Janna blinks. She's not usually the type to negotiate terms, and glances down toward Anno as a result. "We'll, uh..." the feline stammers, but is immediately cut off. "Please, I insist?" The Seeq's looking a bit concerned now. "I need help. If you and yours come by and listen, I can offer leads on that quest. Even better! I can throw in some early compensation. That... fiend has to be stopped as soon as possible!" Cesar blinks as Vivian goes to rattle off information about laurels. Behind his painted (dyed?) face, the Jester smiles and nods, but is clearly not paying much attention to the peculiar herbalist and her speech. Meanwhile, as Niviea picks up the pace, so too does the Mog Knight. Unfortunately for Thom, his current state leaves him a bit more clumsy than he had hoped for. On a particular leg movement, he finally catches the mostly-unfilled toes of his battle boot and slips, falling over and face-planting a short distance away from the Miqo'te, his simple iron helm falling off his head. As Thom eases himself back up, he's giggling up a storm. Almost sounds like a chattering chipmunk. "Heheh! You're a good dancer, miss! What's you're name again, kupo? I'm Thom!" "Uh, hey", Cesar notices out the corner of his eye, "I think someone's chatting up Anno, kupo". He points a tiny finger toward the trio of the Seeq, Janna and Anno, curious at to what's going on. Unfortunately, the husky lady also notices Cesar as well. "Oh, my!" She smiles, a hint of nervousness still on her snout. "Well, the gang's all here, I hope? I don't know if you'd heard, but I'll extend the offer again -- if you Clan folk want to take my job, I can give insight on it. I'll even throw in some stuff that can help you adventuring types?" So. 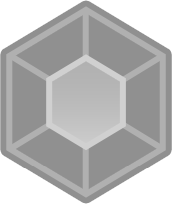 How does the B-list of Clan Polaris proceed with this newcomer? Niviea immediately stops dancing and rushes to help Thom back up and put his helmet back on. "Oh! Are you okay?" Hearing his laughter, Niviea starts giggling, too. "I'm Niviea. Pleased to meet you!" Seeing Thom having his unfortunate little accident, Vivian engaging in one of her occasional ramblings again, and Janna being at a loss for words, I smile approvingly, knowing we have made the right impression. "Hey, friends!" I call for Vivian and Niviea. "We have something important to discuss over here! Come on over and meet this friendly lady, Ku-kupo!" "Name's Anno, pleased to meet you, Kupo." I introduce myself with a bow towards the Seeq woman, and in doing so immediately trip over and fall flat on my face. "Oops." "Well," I continue as I scramble back to my feet, "I'll be happy to help you, at least, Kupo-po. As you can probably see, sticking our noses where bad guys don't want them is sort of our specialty." In a more hushed voice, I add while nodding subtly in the direction of our wacky party: "Be honest, Kupo, if you'd encountered us anywhere but in this place, who'd ever suspect us of being professional Clan adventurers? Your bad guy won't even know what hit him."